The Battle of Fort Cumberland was an attempt by a small number of militia commanded by Jonathan Eddy to bring the American Revolutionary War to Nova Scotia in late 1776. With minimal logistical support from colonial Massachusetts and four to five hundred volunteer militia and Natives, Eddy attempted to besiege and storm Fort Cumberland in central Nova Scotia (near the present-day border between Nova Scotia and New Brunswick) in November 1776. 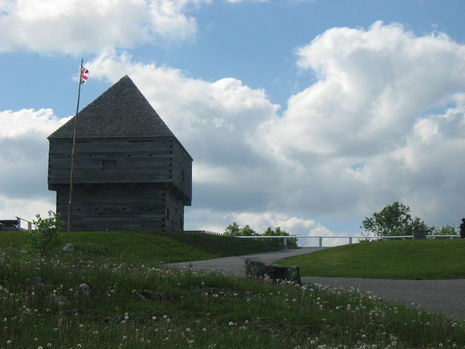 The fort's defenders, mostly provincial militia led by Joseph Goreham, a veteran of the French and Indian War, successfully repelled several attempts by Eddy's militia to storm the fort, and the siege was ultimately relieved when reinforcements drove off the besiegers on November 29. In retaliation for the role of locals who supported the siege, numerous homes and farms were destroyed, and Patriot sympathizers were driven out of the area. 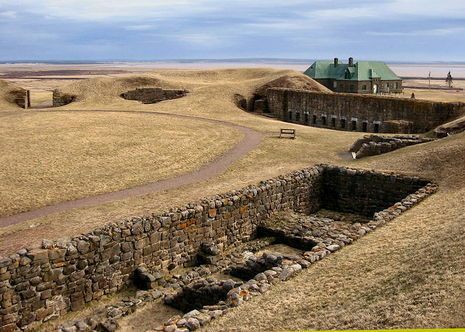 The successful defense of Fort Cumberland preserved the territorial integrity of the British Maritime possessions, and Nova Scotia remained loyal throughout the war. Nova Scotia was generally poorly defended in the early stages of the conflict with the Thirteen Colonies, and unrest in the eastern regions provoked fears of an American-led uprising. Although reinforcements had begun reaching Halifax in 1776, the eastern reaches were only marginally protected when the Americans struck. Fort Cumberland was in singularly deplorable condition. Seized from the French in 1755, the fortifications had been abandoned at the end of the Seven Years' War and allowed to fall into ruin. Arriving in August 1776, Colonel Goreham and his garrison of loyalists had done what they could to restore the premises to a defensible condition, even using old French equipment from the previous war. But Goreham had not been adequately provisioned and his men lacked everything from victuals to uniforms.